Wat is dit voor site? Wij zoeken de goedkoopste boeken op internet. Giorgio Agambenvonden we het goedkoopst op Bol.com voor €76.99. We hebben gezocht in nieuwe en tweedehands boeken. Rechtsonderaan de pagina kan je het boek direct bestellen	via Bol	.com. Giorgio Agamben has come to be recognized in recent years as one of the most provocative and imaginative thinkers in contemporary philosophy and political theory. The essays gathered together in this volume shed light on his extensive body of writings and assess the significance of his work for debates across a wide range of fields, including philosophy, political theory, Jewish studies, and animal studies. The authors discuss material extending across the entire range of Agamben's writings, including such early works as Language and Death and more recent and widely acknowledged works such as Homo Sacer. 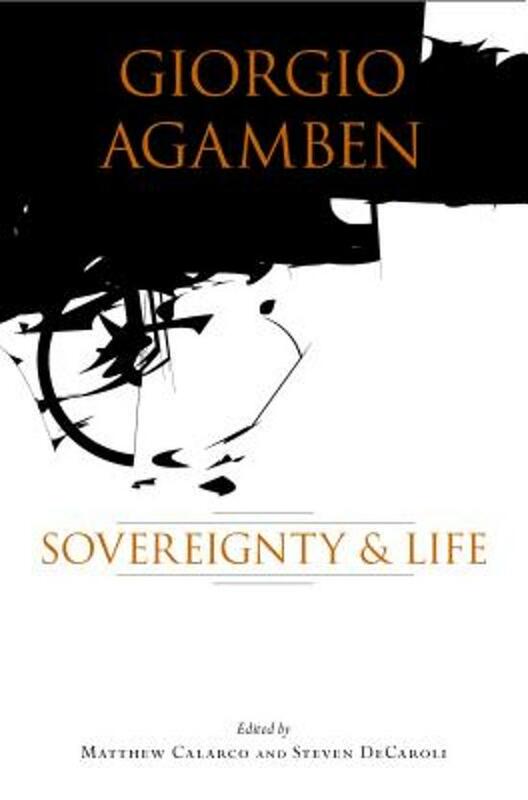 Readers will find useful discussions of key concepts and theories in Agamben's work, such as sovereignty and bare life, along with more critical analyses of the political stakes and consequences of his theoretical and political interventions.